ARK Core is now ready for Docker, the industry standard for packaging applications into a container. This will give developers another tool to quickly install and run an ARK node. Using a Docker image, all dependencies, such as the language runtimes and libraries are combined within the container. Making an all-in-one node install much easier. Docker is a tool specially designed to make it easier to create, deploy and run apps by using containers. Containers allow apps to be packaged with all the required elements (such as libraries and other dependencies) and delivered as one package. Using a container, the developer can rest assured that the app will run on any other Linux machine even if the other machine has custom settings that differ from the machine used to write and test the app. In a sense, Docker is a bit like a virtual machine. Unlike a virtual machine, Docker allows applications to use the same Linux kernel as the system that it is running on. This alleviates the requirement to run an entire virtual operating system and only requires that applications be delivered with elements not already installed on the host computer. This gives a significant performance boost and reduces the size of the application. With all of that in mind, we have created a Docker image of the ARK Core which is now also a part of the Core package. You can now run ARK Core for both networks (Development and Public Network) without worrying about installing missing components — everything needed will be included! 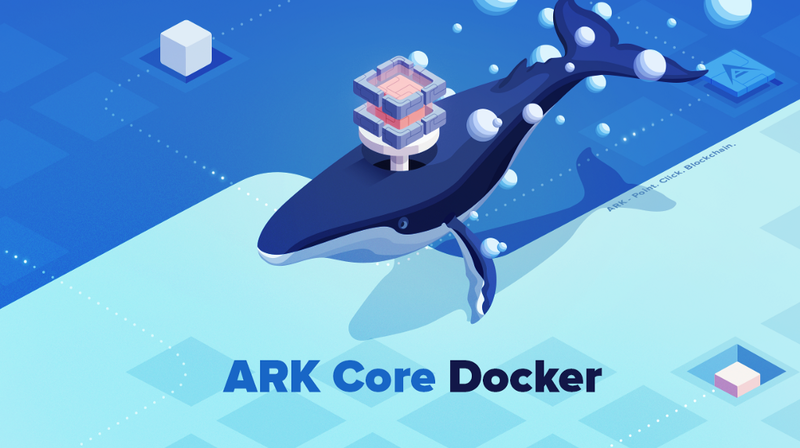 ARK Core Docker images and detailed explanation on how to run them are available at our Docker Hub: https://hub.docker.com/r/arkecosystem/core.